Do you ever wish you had a magic crystal ball to see into your future? Well, that may not be possible; but you can see what your car payment will look like with Harrisonburg Honda’s Payment Calculator! If you are in the process of researching your next vehicle in Harrisonburg, VA, you may wonder how much your payments may be. 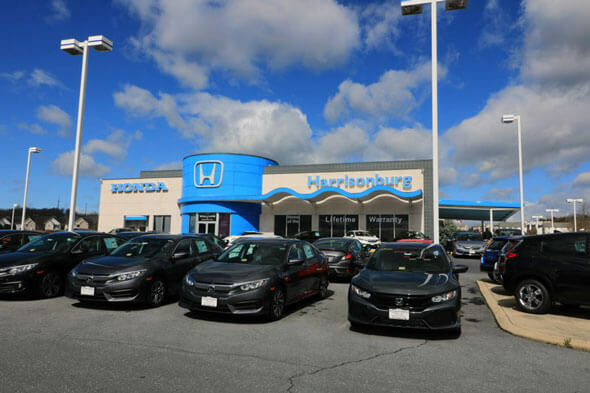 Let us help you estimate your payments at Harrisonburg Honda so you know what vehicle fits your budget. Are you ready to find your next car, truck, or SUV but you wonder what the cost may mean to your bottom line? It’s important to know what your budget is and how much you can afford. We give you the tools you need to make an educated car buying decision. Use the tools below to calculate what your estimated payment will be or contact us at Harrisonburg Honda today. At Harrisonburg Honda, we have provided you with two ways to calculate your payment. The first way is to select a vehicle from our inventory and use the price of the vehicle to see how much you will pay for that specific vehicle based on the total cost of the vehicle. You can add in your trade-in value (including the amount you still owe on the trade), how much you plan to put down, how many months you want to pay for, and the estimated interest rate based on your credit. This calculator will spit out your estimated payment so you can see what price range you are looking at. The other way to calculate your payment is to enter your desired monthly payment, trade-in value (including how much you still owe), down payment, contract length, and interest rate. This will give you the total vehicle price you can afford based on monthly payment. For help with these calculators, contact us at Harrisonburg Honda. Check out our great selection of New Honda Models, Used, and Certified Pre-Owned vehicles on our website or in person. Once you find the vehicle of your dreams, you can use our payment calculator to estimate price. If the price meets your budget, we welcome you to fill out our Online Credit Application for pre-approval to save you some time. We can schedule a test drive so you can try out the vehicle before you buy it. We are here to answer all of your questions that may come up along the way and you can reach us by phone, online chat, email, the contact form on this page, or you can stop by and see us in person. We look forward to making your dream of owning a new Honda a reality while saving you money.